Welcome to the Web site specifically for Magnolia Plantation residents. 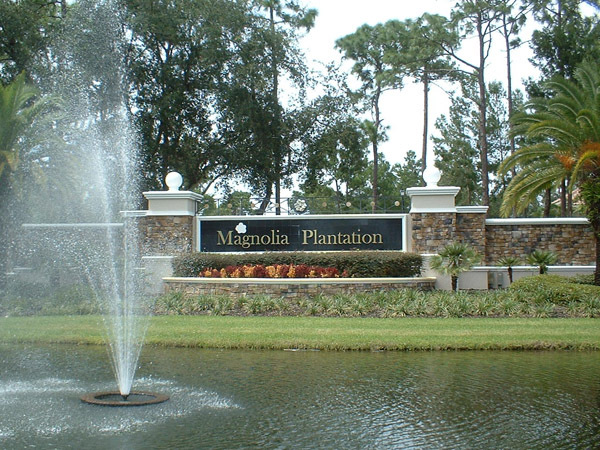 Magnolia Plantation is a beautiful community in Lake Mary, FL that brings a variety of comfortable homes convenient to the heart of Seminole County commerce. It boasts one of Central Florida’s most challenging golf courses and provides a refreshing mixture of elegant living, spacious lots, nearness to nature, and regular people. Our most important asset is our sense of community and we have a complete cross section of young and old and mixture of backgrounds that need to communicate with one another so that we can all grow together. MagnoliaPlantation.net is our way of staying in touch with one another in shared activities. Most of the web site is accessible to residents only, so you won’t be able to access those sections until you sign on, but that’s easy to do. Just click on any of the Residents links on this page. If you already have a Resident ID & password, just type them in & log in. Or, if you need to register, just click on the Register link. Inside the site, you will find sections dedicated to the community, social activities, recreation and the Magnolia Plantation Homeowners Association. Also included are discussion forums for residents to talk about anything and everything that interests them. A community calendar and free classified ads for residents are also inside. Brought to you by the Magnolia Plantation Homeowners Association. Contact Us if you have any questions.